I easily get caught in his paintings. They’re stark and seemingly simple but there’s so much about them that I love. A colleague of mine said they made her so depressed. 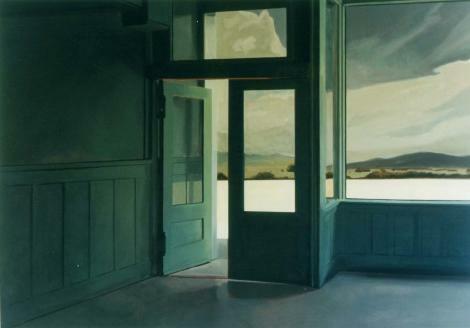 In the words of Liz Lemon…whenever I look at these paintings I think of one thing: I want to go to there. It kind of disturbs me that the first time I heard of John Register was because of the band Live. The song will most likely nauseate you so just turn the sound off completely. But they do show the idea of his work really well.